At Andrew Lea Finance we realise that understanding the UK’s state pension system isn’t always easy! We can show you how to, amongst other things, check your National Insurance Record, get a State Pension Forecast, and top-up any National Insurance Contributions if there are any gaps. Just get in touch to arrange a consultation. With a view to creating a greater choice and flexibility for those who have saved hard for their pension, the government have removed the requirement to buy an annuity, meaning that you can choose how you access your ‘defined contribution’ pension savings e.g. you could take all your pension savings out as a lump sum, draw them gradually over time, or buy an annuity. The choice is yours. Subject to your pension scheme rules, most people will still be able to access 25% of their pot in one go without paying any tax. NOTE: from April 2015, withdrawals from your pension will be treated as income, no matter how much you decide to take out from a defined contribution pension. Rather than being taxed 55% for full withdrawal, the amount of tax you pay on pension withdrawal will depend on how much other income you have that year. The government had previously announced this ‘tax break’ would apply just to people with defined contribution pensions (also known as ‘money purchase’ schemes), whereby the money you and your employer pay in to your pension scheme is invested by a pension provider, so the amount you get when you retire typically depends on how successful the investment has been and how much money was invested. However, they have since announced that people who have a defined benefit scheme (whereby a promise of a certain level of pension is made, linked to your salary) will also benefit. 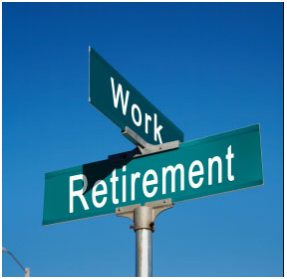 If you work in the private sector or part of a funded public sector scheme, you’ll remain able to shift from a defined benefit to a defined contribution pensions scheme should you want to, so you too can take advantage of the above benefits. Unfortunately, those in unfunded public sector schemes won’t be able to switch in such a way. NOTE: The government estimates that around 18 million people will now have this extra flexibility to withdraw their pension as they see fit. Announced by the Chancellor in September 2014, from April 2015, people with defined contribution pensions who die under the age of 75 can pass on their unused pension as a lump sum to a person of their choice tax free, rather than paying the normal 55% tax rate for passing on pensions. People who die over the age of 75 who have a remainder of defined contribution pensions can give the funds to a person of their choice. This elected person will be able to take it as a lump sum taxed at 45% or alternatively as income and pay their normal rate of income tax. If you will be 55 years of age or over by April 2015, subject to your pension scheme rules, you will be able to take advantage of this new system (from that date). Younger than 55 then? You will be able to take advantage of the new system when you reach the normal minimum pension age under the tax rules; this is currently 55..
You can find more information about the pension reforms by reading the government’s factsheet that they published at Budget 2014, which covers things like the differences between the new and the old system. If you’d like a State Pension Forecast or any advice on pensions, feel free to contact Andrew Lea Finance, chartered accountants, for some friendly, no-nonsense guidance. We can also advise on tax credits, dividends and much more.